that makes it easy to wear and avoids that it slips from your shoulders. 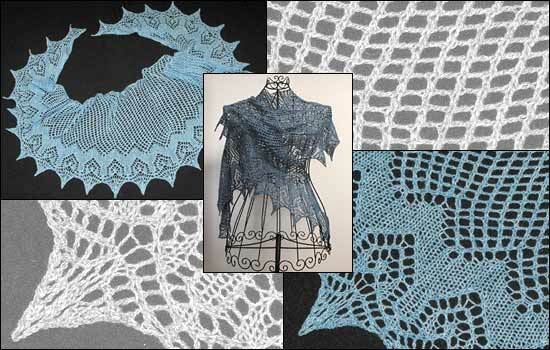 The main part is worked in a mesh lace pattern formed by decreases and yarn overs. It is finished with a wide edging of small geometrical motifs and distinctive points. Diese Anleitung ist in verschiedenen Sprachen erhältlich. Wählen Sie bitte unten Ihre Sprache aus.